Ice skating is one of everyone’s favorite winter activities and offers many fitness and mental health benefits. It helps to improve balance and coordination, strengthen leg muscles, and improves joint flexibility, since the activity focuses on quick foot movements. It’s also calming to glide across the ice and forget about your work day! Did you know Jersey City has two ice skating rinks? For $15.00 (that includes rentals) you can ice skate with friends, family or that special someone. Both Jersey City rinks offer private lessons as well, if you are looking for a fun winter activity, and they’re both within ten minutes of your Lenox apartment! Newport Skate – This rink is a great start for anyone who is just learning how to ice skate, they also offer private lessons at an affordable price. Newport Skates is located in a residential area in the Newport area which gives the rink a more intimate feel. You can even catch a glimpse of the New York City skyline! They are open until 9pm so it’s the perfect activity/exercise after work. Charlie Heger Ice Rink – This rink was much larger than Newport Skate making it the perfect size for hockey games. This is a popular Jersey City hangout where residents can enjoy a night out with friends, family, and dates. 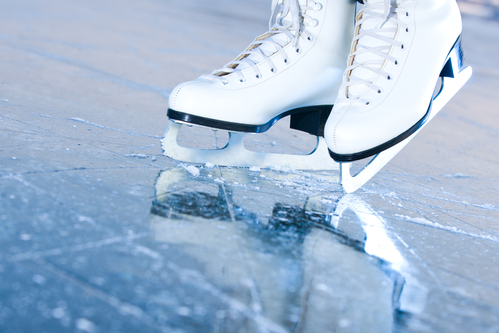 Charlie Heger Ice Rink also offers Learn to Skate lessons for children and adults for FREE with paid entry price!